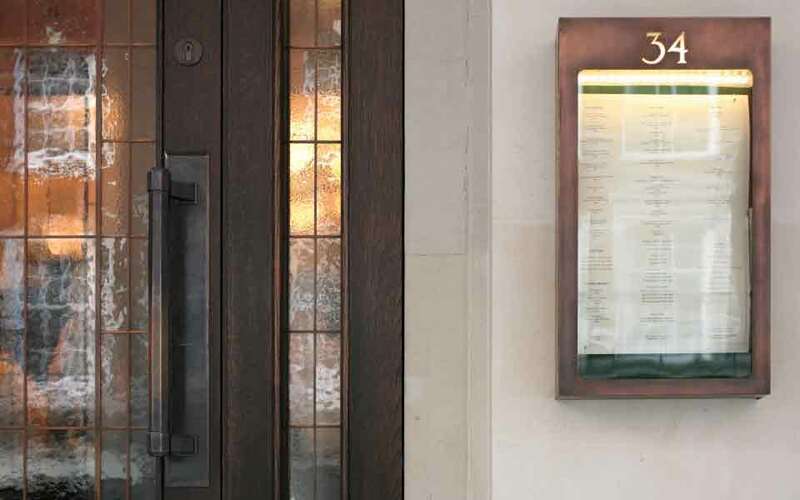 34 is a substantial new restaurant on London’s Grosvenor Square. 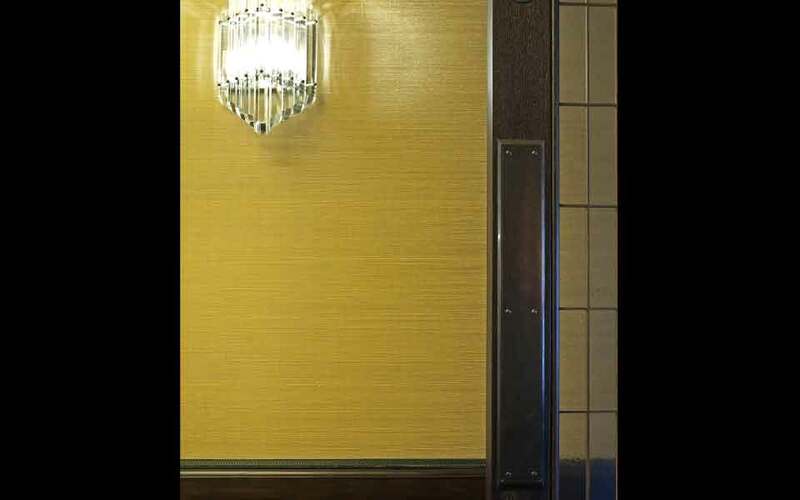 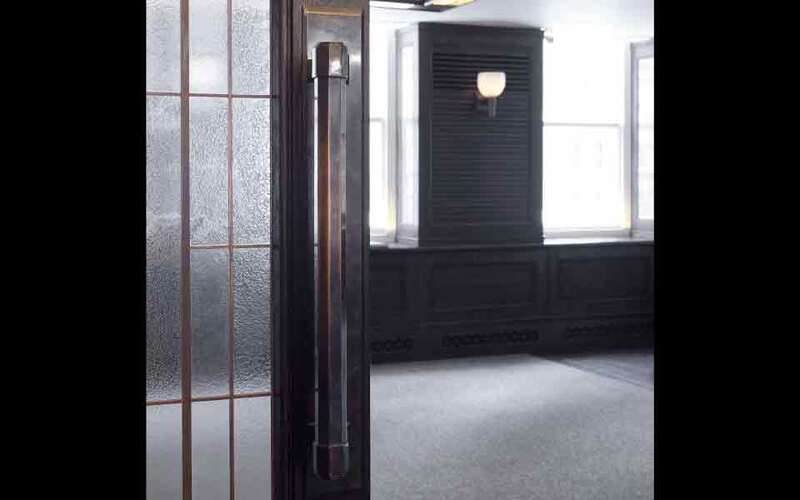 Collaborating with designer Martin Brudnizki Design Studio, izé found and adapted a series of 1930s patterns which suited the late Art Deco style of the building and the restaurant’s chic but understated new interior. 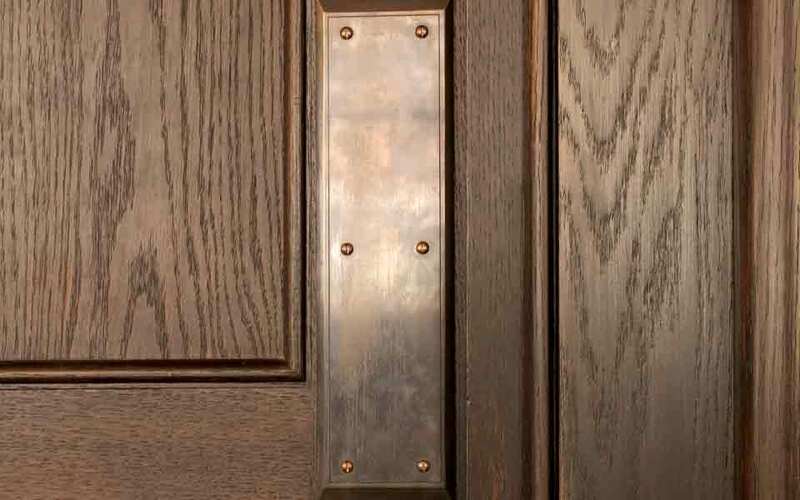 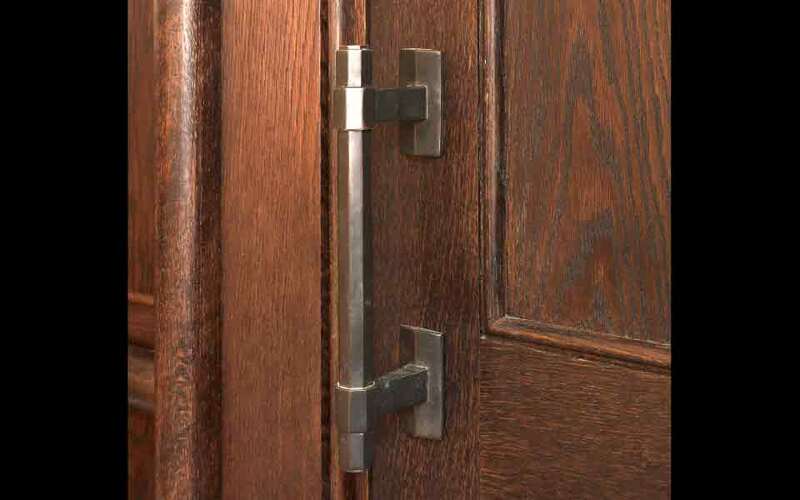 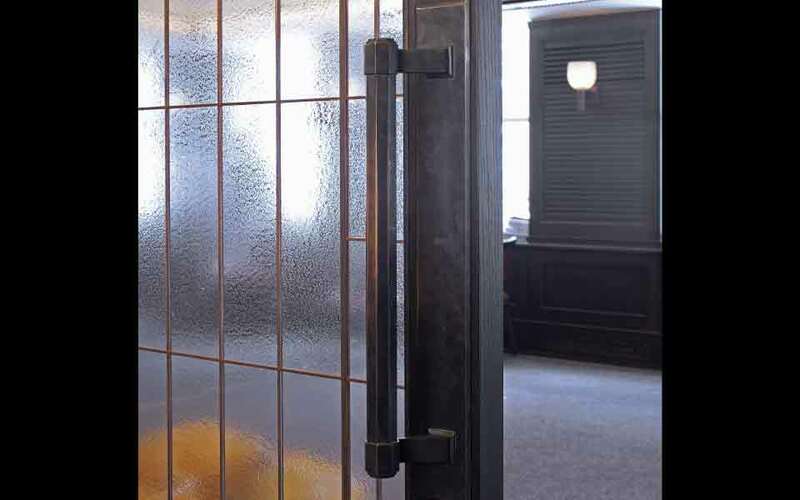 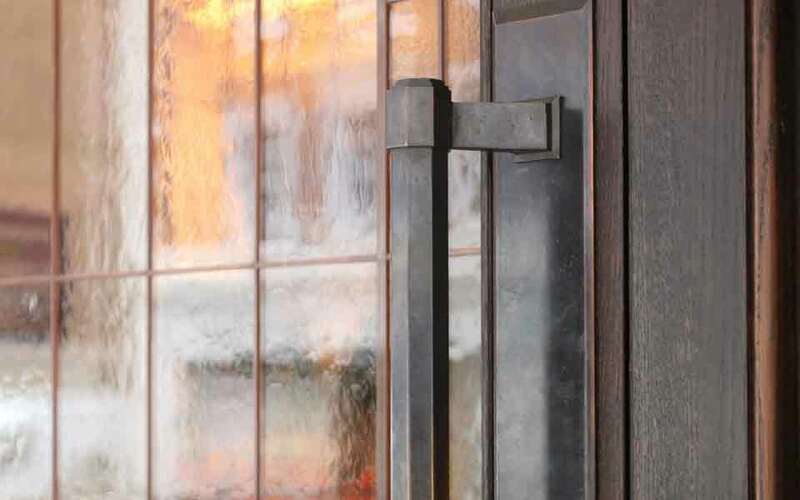 The dark bronze finish allows the handles to melt into the rich but restrained timber detailing of the interior and the doors yet still retains a substantial presence and weight to announce the moment of entry.